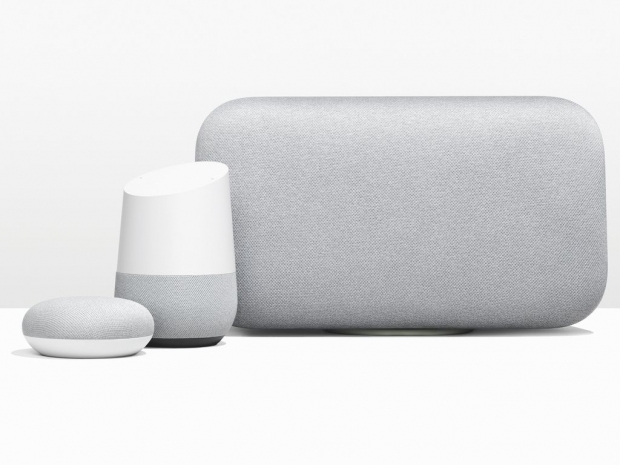 Google: Today, we’re welcoming two new products to the Google Home family: Google Home Mini is small and mighty for hands-free help in every room. And Google Home Max is our biggest and best-sounding Google Home ever. They’re both radically helpful, and packed with the power of the Google Assistant, including some brand new features. Mini makes the Google Assistant more accessible than ever at home. We designed it to fit naturally in any room. It’s sleek and smooth, with no corners or edges, and about the size of a donut. Its fabric enclosure is durable, yet transparent enough to let through both light and sound. The LEDs under the fabric light up to show you when your Assistant hears you. And it projects 360-degree sound so you’ll never miss a beat. With far-field microphones, Mini can hear you even when there’s music playing or there’s other noise in the background. Mini comes in three colors—Chalk, Charcoal and Coral. 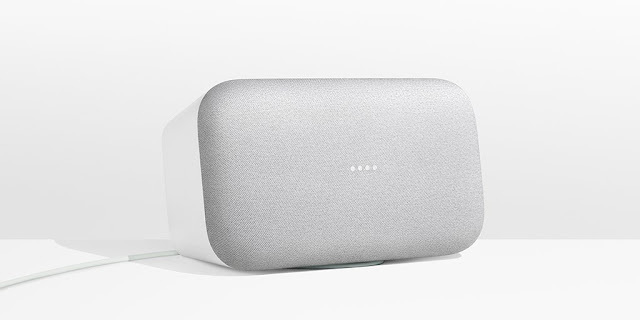 At $49, Google Home Mini works on its own or you can have a few around the house, giving you the power of Google anywhere in your home. Max redefines audio, in a way that only Google can—with AI. Its high-fidelity sound is built on a foundation of premium hardware. With dual 4.5-inch high-excursion woofers, you’ll get deep, balanced bass. And Max can play loud, really loud…so you can fill even the largest room in your home with your favorite music. In fact, it’s 20 times more powerful than the original Google Home. Max is our first speaker with Smart Sound, a new audio experience powered by Google’s artificial intelligence. It’s what allows Max to adapt to you—your environment, your context, and your preferences. Smart Sound automatically adjusts for where you place Max in a room, so if you decide to move your speaker a few feet, it will dynamically tune itself within seconds. Max works with a wide range of music services and supports Bluetooth and auxiliary port . And Max was made to fit your space and style; it can be placed vertically or horizontally and comes in two colors—Chalk and Charcoal. 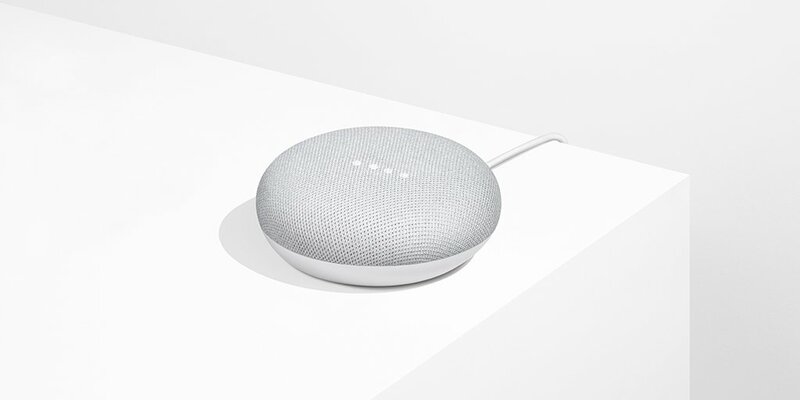 Google Home Mini is $49 and will be available in stores starting October 19. You can pre-order yours online today at the Google Store, Best Buy, Walmart, Target, Verizon and more. Mini will also be available in the U.K., Canada, Germany, France, Australia, and soon Japan. Voice Match is now available in those countries as well. Google Home Max will launch in the U.S. for $399 and comes with 12 months of ad-free YouTube Music—this offer is for new subscribers only and you have until February to claim it (check out the terms). Starting November 13, you can pre-order online from the Google Store, Best Buy and other retailers.